So Morocco has just crossed your radar as a travel destination that you really, really need to visit. You’ve seen all the incredible reviews, heard the fantastic stories from other travelers and drooled over the pictures of the appetizing food. Maybe you start Googling. Maybe you look at TripAdvisor. But when you are starting from stage one, you need a little more direction than that. As someone who helps plan tours professionally, here are the things that you need to be thinking through as you dream about your trip to Morocco. Who are you going to Morocco with? 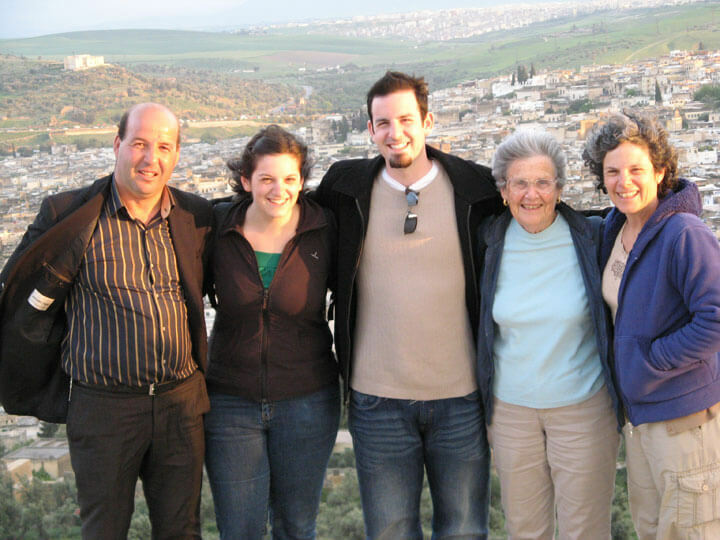 The tour you plan will look very different if you are traveling alone vs. traveling as a family vs. traveling with your grandmother. This is going to influence what you see and the pace of your trip. 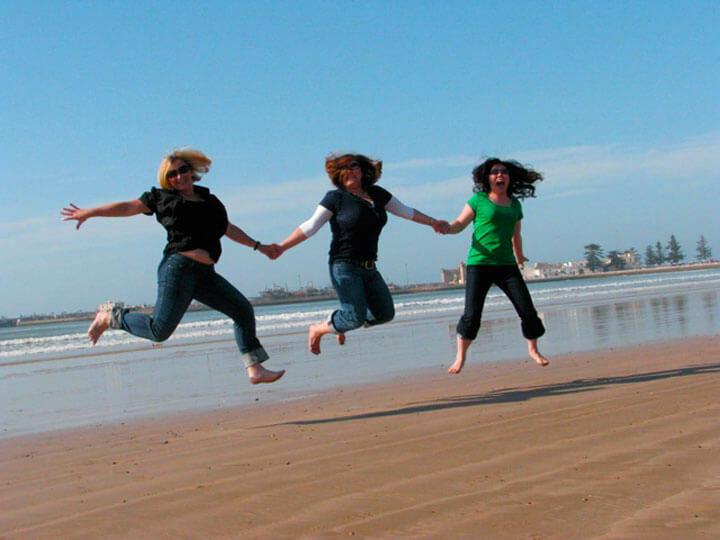 Expert tip: If you get a bigger group together, the cost per person will be lower. Try to book in rooms of 2 in order to avoid paying a single supplement. Rooms in Morocco are priced per person, leading to a single supplement being added in order to account for a single room. When do you want to go to Morocco? There are a number of factors that influence this decision. Of course, you’ll have to think about when school holidays are if you are traveling with children, or when you can take your vacation if you are working. If you are retired, then you have the luxury of being able to plan your trip around the best weather in Morocco or what local holidays you want to experience or avoid! Expert Tip: I wrote a whole blog post about this: Best Time To Visit Morocco. How long can you be in Morocco? I’m a firm believer in spending as much time as possible in the country that you are traveling to, for a number of reasons. The first reason is that the best way to learn about the country is to spend some in depth time there, rather than only seeing it for a day or two. The second reason is that if you are going to be spending the time and money to go to a location you’ve never been to, take advantage of it! You don’t want to go all the way to Morocco and miss out on major cities or a trip to the Sahara Desert. The third reason I tend to lean towards more time rather than less time is that you are able to enjoy it at a leisurely pace rather than hurrying through. Expert tip: Book the extra day. It doesn’t have to be a 5 star extra day! If you are concerned about your budget, get cheaper accommodations for your extra night. Do the trip right and take the time to enjoy yourself. Is this the big trip that you have been saving up to splurge on? Or are you with a group of friends trying to see the country for as cheap as possible? Your budget will determine how much you can see and where you stay. You have to decide how important money is to the planning of your trip. Expert tip: If you are feeling tight on money, ask your tour provider for ways that you can save! They will usually have some good ideas for you. 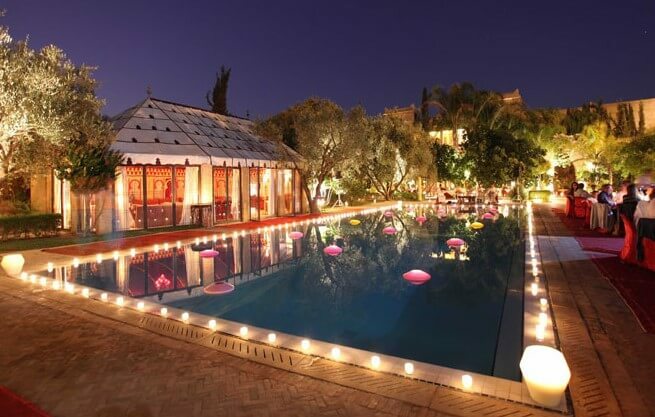 This being said, I would advise splurging for at least one night just to experience the luxury of the Moroccan riad. Like I said before, you came all the way there and you might as well enjoy it. Now that you have a general idea of what you want, you can use your answers to those questions to help decide what type of tour you want to take. You basically have three options for the type of tour that you take: private, group or booking everything on your own. If you are feeling particularly adventurous or you have traveled a lot, then this option can be a good fit for you. Find your own hotels, transportation and guides and travel without obligations to anyone! Advantages: You will be able to save money by booking everything on your own, as you won’t have to pay anyone else to help. You will be completely in charge of your own schedule and able to travel as spontaneously as you please. Disadvantages: Without getting help from experts, you run the risk of missing important information or not getting the best that Morocco has to offer. There are many opportunities that you might not be able to learn about from just Google and Lonely Planet. In those situations, people are glad that they chose to get help. It also takes time to plan it all by yourself, but if you enjoy the planning, then it will be time well-spent! The group tour is for people who are trying to see a country as cheaply as they can, but without having to research all the details on their own. Join a group of people and a set itinerary as you travel through Morocco and see all the main sights! Advantages: This tour is going to be cheaper than a private tour. It also has a package pre-made, so you won’t have to worry about picking out cities or figuring out how you will get from one place to another. Everything is taken care of for you. The private tour is for those who want expert help planning their trip, but want to be able to customize their trip. It’s going to be a little more expensive than the other two options, but allows the highest level of customizing. Advantages: You can choose the dates you want to travel, mix and match accommodations to meet your budget and benefit from expert advice. You are able to see the real Morocco, since you can travel at your own pace. You don’t have to see everything from a tour bus. Disadvantages: Again, the one disadvantage to this is cost. It will be more expensive than either of the other two options. If you went with the booking on your own option, you have to start researching hotels, reading reviews and learning about the transportation systems in Morocco. If you decided on a group tour, you need to find a reliable company that offers a group tour that works with the dates you can travel on. If you decided on a private tour, you need to find a reliable company that understands Morocco and can work with you to customize your trip. In all three of these options, it’s important to read reviews. We use TrustPilot, a third party source that verifies whether or not customers purchased from us. In a world where so much of online presence is fabricated, it’s important to ensure that the reviews you are reading are legitimate. Expert tip: Think you’ve found an incredible deal? Think twice before you book…there are quite a few companies in Morocco that aren’t licensed for tourism. They offer very cheap tour prices and then take you to all of their shops once you arrive in order to try and make money off of your shopping. If a company has client referrals, check those out! It can be helpful to have a longer piece of information to decide whether or not the company is right for you. Now you have chosen the company you want to work with…what’s next? This is where the rubber meets the road. You know how much time you have in Morocco and you want to figure out what to see while you are there. It would be a shame to go to a country and not make it to the best sights. 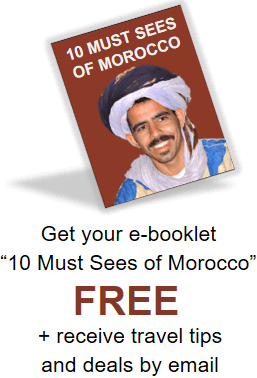 But how do you know what the best sights of Morocco are? Everyone is going to have different opinions on what the best things to do in Morocco are. If you are getting help planning your trip, then tell your salesperson what you are interested in! 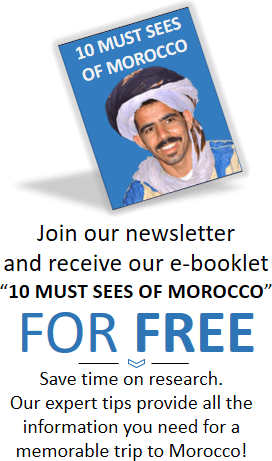 Morocco is full of options for kids, artists, embroiders, photographers, nature-lovers, etc. There is something fun for everyone. 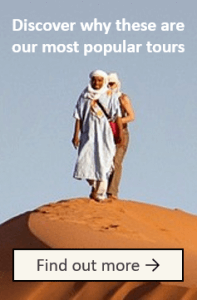 If you want to make this an educational trip for your kids, read our Ultimate Guide for Homeschool Travel in Morocco. That’s about as specific as we can go in a blog post as far as how to plan what you are going to see: because what you want to see is unique to you and your group. Be honest with the members of your group (as well as your travel agent, if you’re booking a tour through a tour company) as to what you’re looking for. This trip should be based on what you want to see! Don’t listen to outside pressure or what’s trendy when deciding what to see and what to skip. 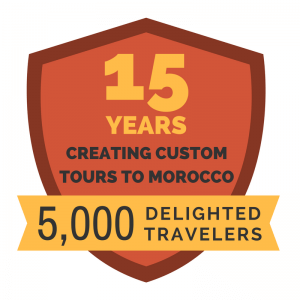 Customize your Moroccan vacation to reflect what you value and what you’re looking for! **Before the next step** Double check that you haven’t over-scheduled your trip. I know that everything looks fun as you are adding it to the itinerary, but now is the time to cut something if it’s going to be too hectic! Morocco is quite a bit bigger than you might think! It’s common for visitors to try to see too much in too little time. Going at a slower pace will allow you to relax, enjoy, and learn all at the same time. Again, this step depends mostly on where you will be traveling from and what your travel arrangements are. However, here are a few basic things you should be aware of when you are booking your tickets. The Mohammed V International Airport (CMN) in Casablanca is the most common airport that people fly into. There are lots of flight options for this airport, and there is even a direct flight from JFK to Casablanca! You’ll probably want to arrange for an airport pickup, or else you will have to get a taxi or use the train in the basement of Terminal 1. You can also fly into Marrakech Menara Airport (RAK) or Fez Saiss International Airport (FEZ), although they can be little more limited than the Mohammed V airport. Expert tip: Make sure not to have too much scheduled on the day your plane flies in. It’s tempting to want to hit the road running as soon as you touch down, but you’ll enjoy the rest of the trip much more if you take it easy on the first day. Give yourself ample time to settle in and adjust. You can also take the ferry to Morocco from Spain. Read our more extensive guide to making this journey here. Here’s a quick checklist of what you should bring to Morocco. For a whole blog post on this, click here. We hope that this is helpful as you begin to plan your dream trip to Morocco. Contact us for more expert help creating your own custom design tour.